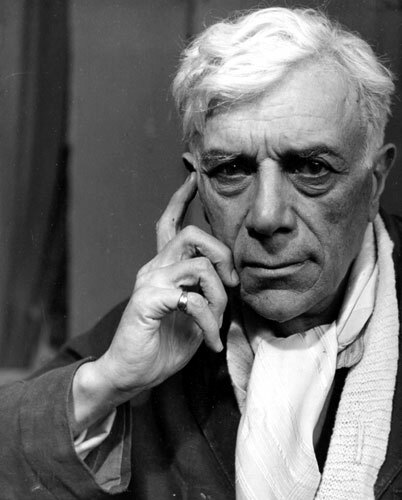 Georges Braque was born on May 13 in 1882. He grew up near Paris, and in 1902 he settled there to study painting. He really liked pictures by the fauves who painted with bright colors and unstructured forms. He painted in those styles until 1908. In 1908 Braque began to paint in the cubist style. Between 1908 and 1913 he began to study light and perspective. He used his studies to use shading of a cube to make it look both flat and three-dimensional at the same time. In 1909, Braque began to work with Pablo Picasso . They both began to use neutral colors and complex geometric patterns. This style of art is now called analytic cubism. Between 1910 and 1912, Braque began to use a collage. Collage is when an artist take things from everyday life like newspapers, fabric, rope, etc... and uses them is his art. In 1914 he enlisted in the French army and was injured. After the war, Braque used more bright colors and textured surfaces. He also painted more still lifes. He died on August 31, 1963. Edition : Numbered 11/30 in pencil in the lower left hand margin. Image Size : 29 x 36 cm. Paper Size : 52 x 67 cm.